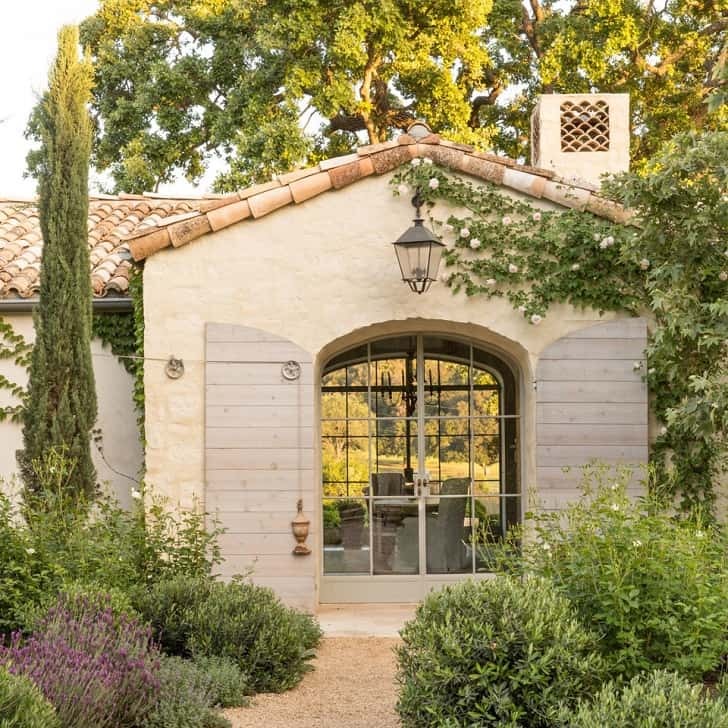 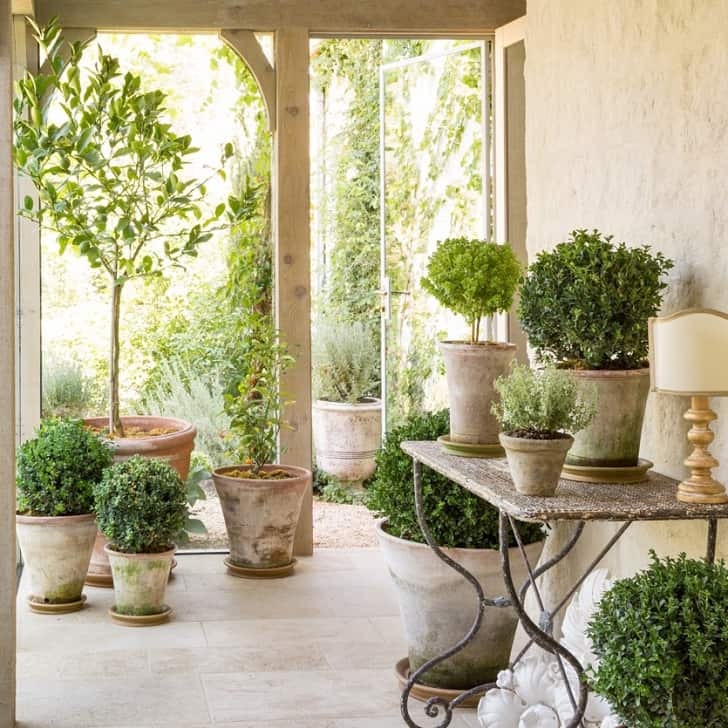 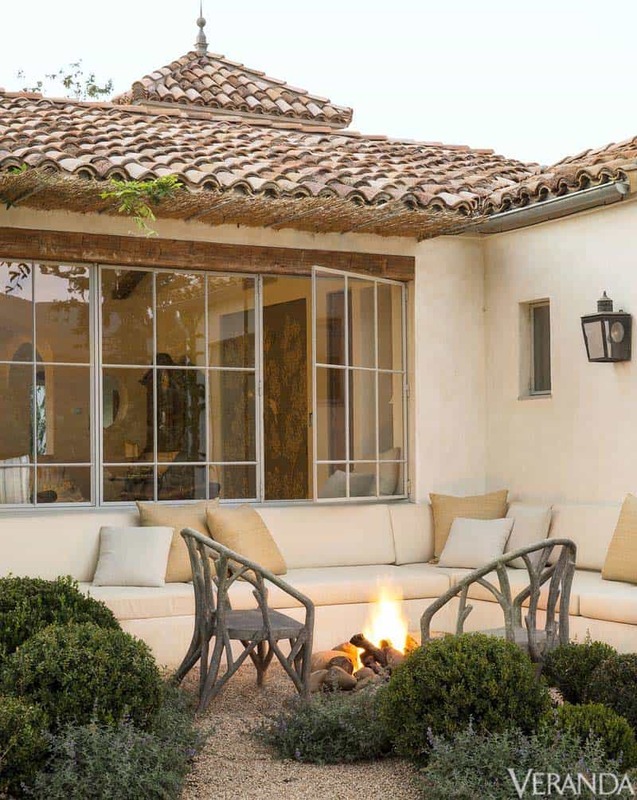 This Provencal style home located in Ojai, California infuses antique elements with modern details creating a nice sense of space, with architecture and interiors completed by Giannetti Home. 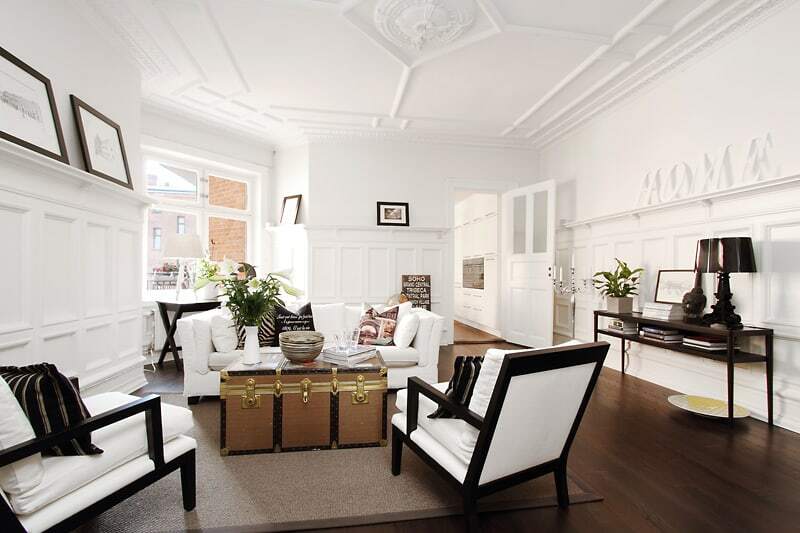 The homeowners are Brooke and and Steve Giannetti, she is a decorator and he is an architect. 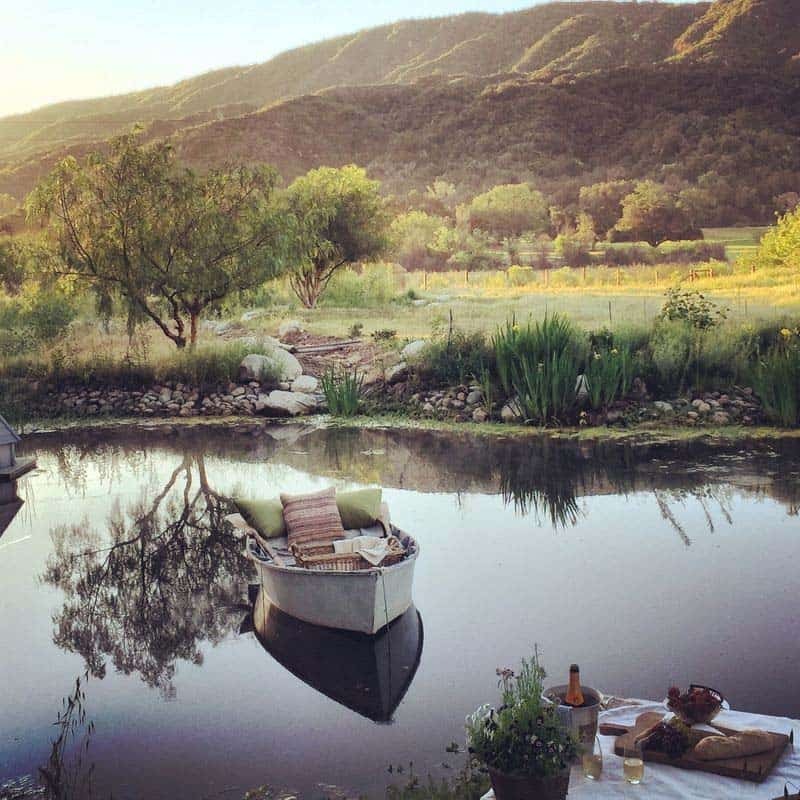 The couple decided they wanted to leave the hustle and bustle of Los Angeles behind and take up residence in the artsy enclave of Ojai. 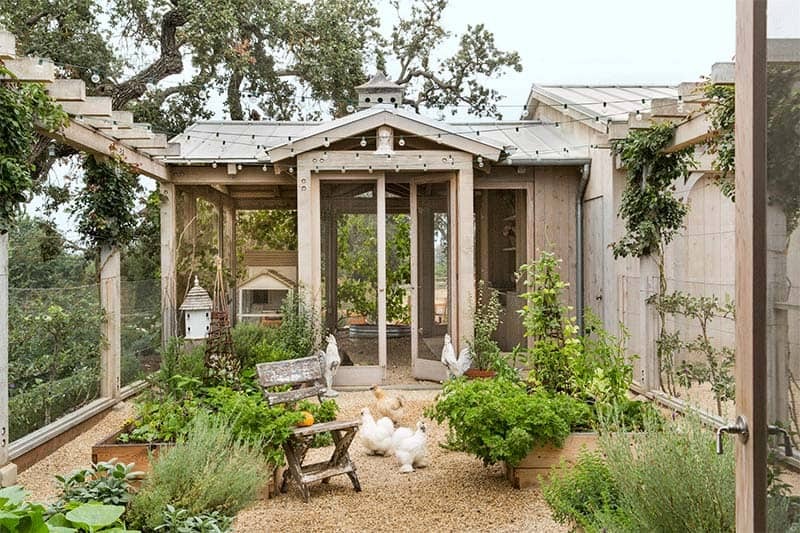 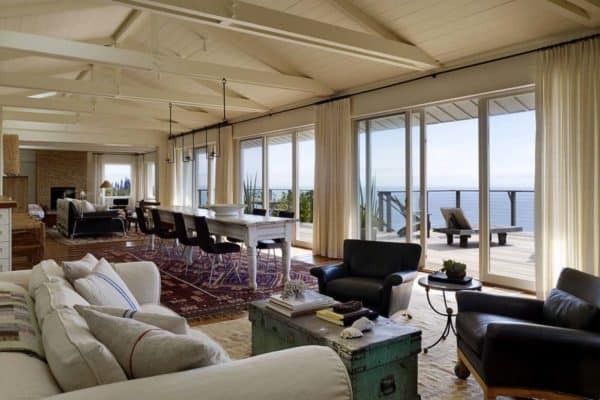 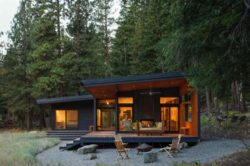 The couple aptly named their new abode “Patina Farm”, which is comprised of 6,600 square feet of living space, complete with a beautifully designed guest house and even a chicken coop. 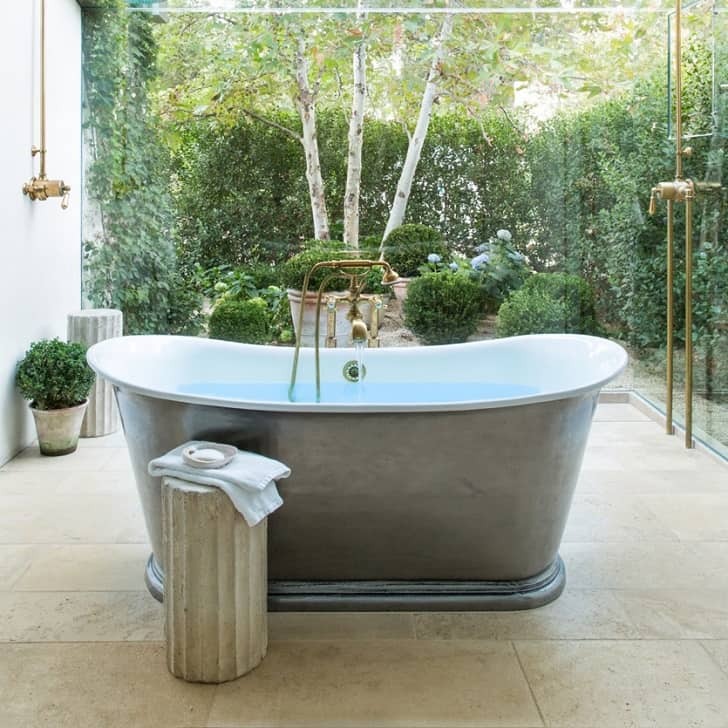 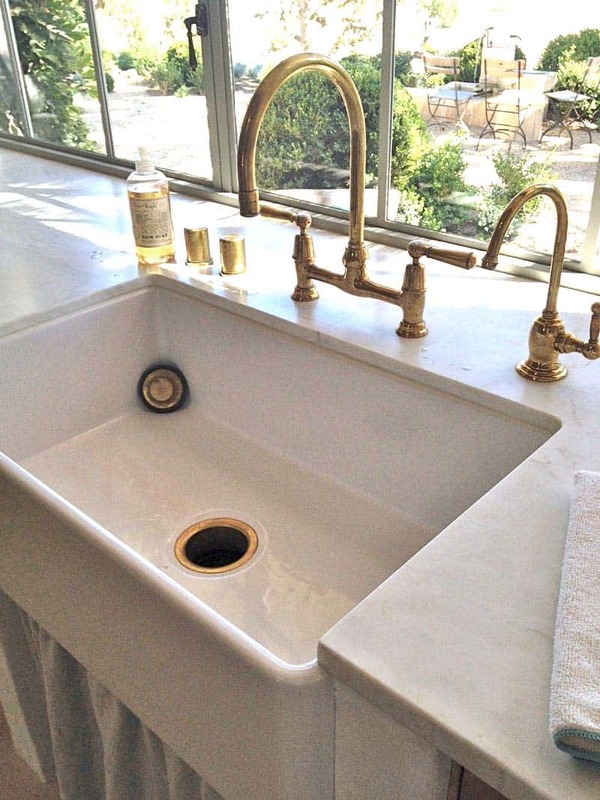 The duo has a self-described “patina style”, which is also coincidentally their first book title and was used as inspiration for their West Los Angeles interiors shop, Giannetti Home. 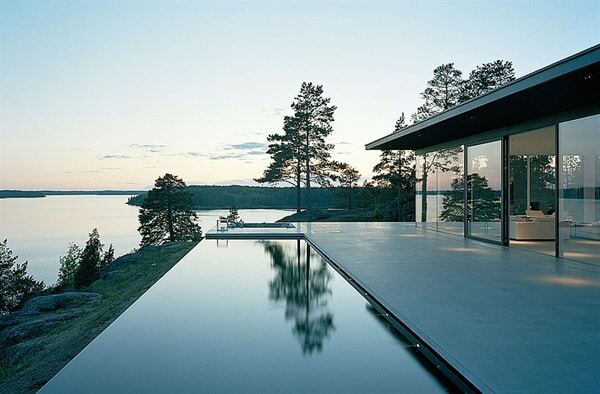 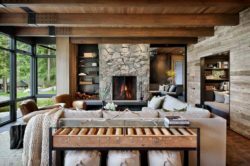 The interiors feature delicacy, elegance and a natural color palette, creating a visually soothing aesthetic. 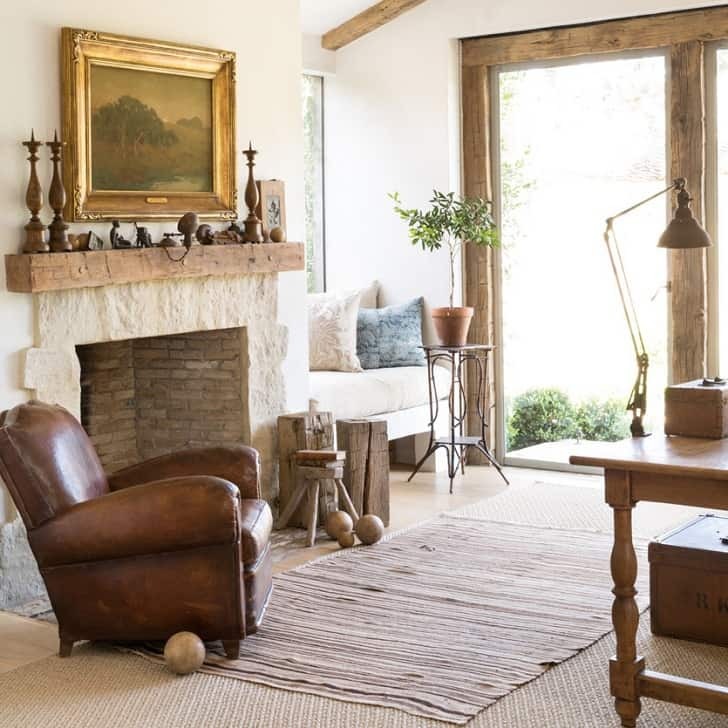 In the living room (pictured above), materials of natural linen, sisal, and weathered wood gives the space a very fresh, unfussy aesthetic. 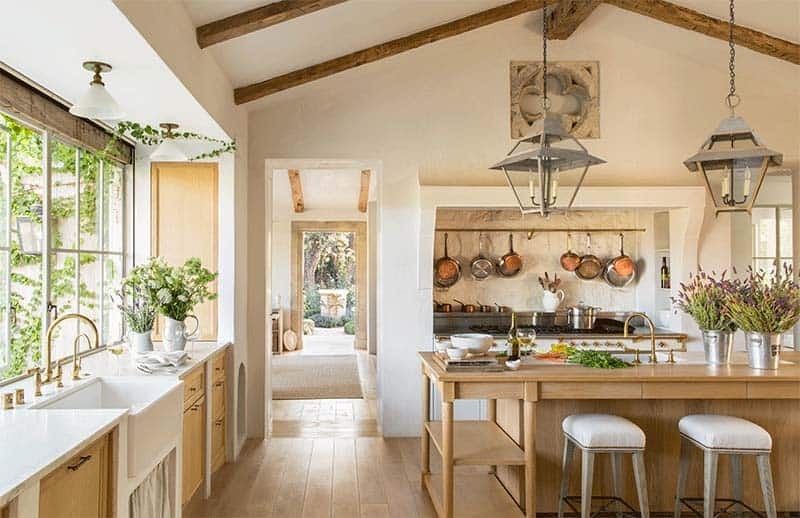 What We Love: The beautiful setting that surrounds the house and the timelessness of the interiors makes this farmhouse a peaceful oasis to relax and feel right at home. 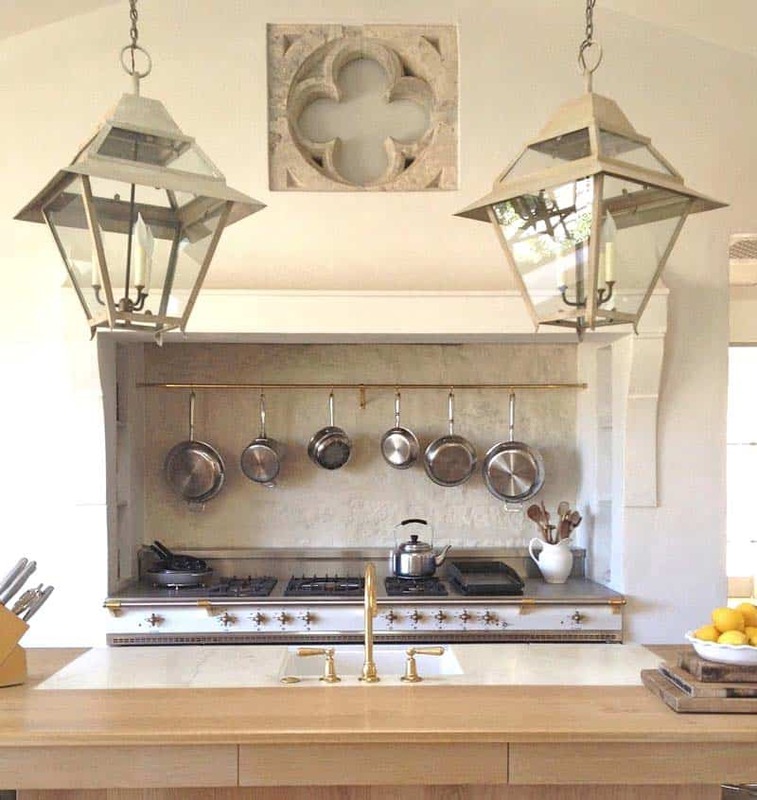 The kitchen features custom designed cabinetry comprised of white oak with warm brass fixtures and a limestone backsplash. 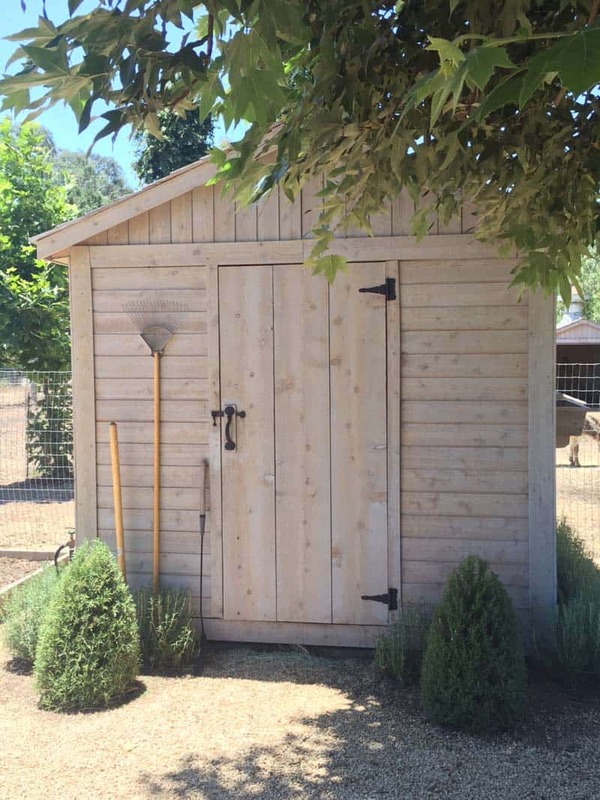 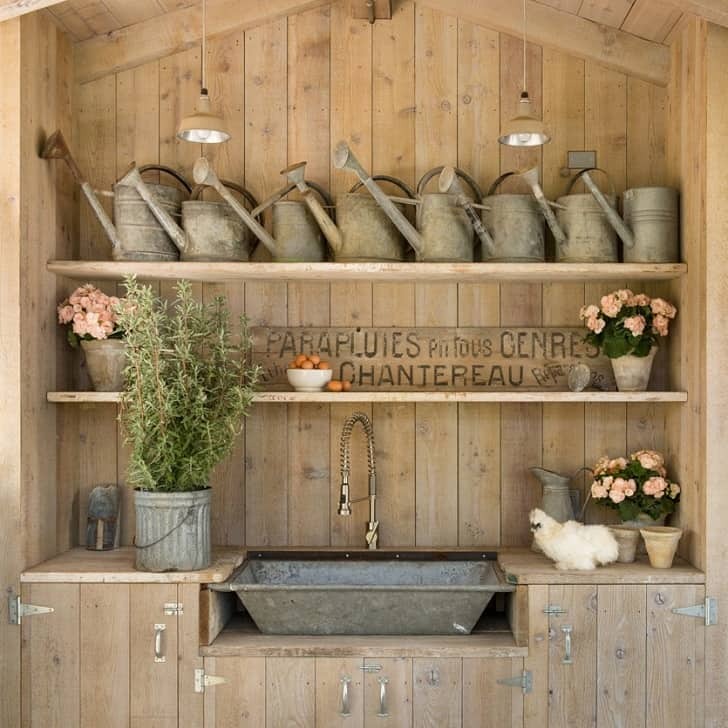 The chicken coop features shelving decorated with a lovely collection of vintage watering cans and flowerpots. 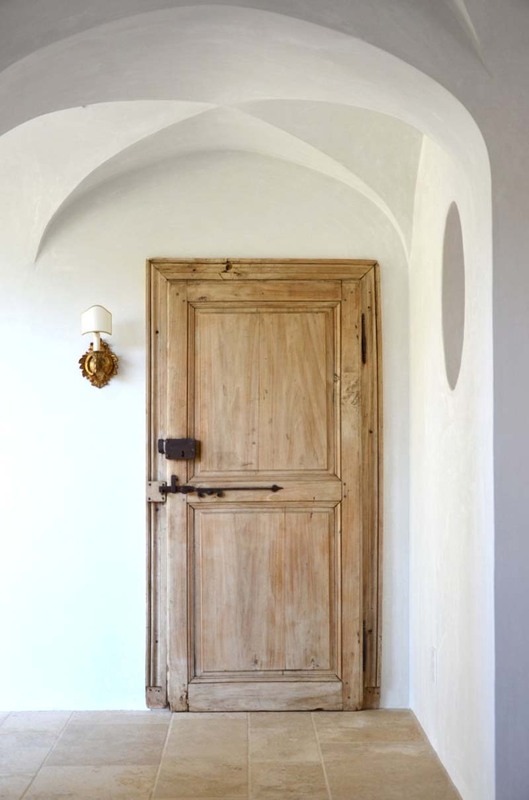 In the master bedroom, Belgian and Swedish antiques are masterfully intermingled with rustic objects, rough-hewn materials and natural fabrics in a soft, neutral color palette. 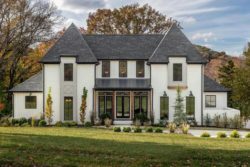 The name Patina Farm was selected because of the homeowner’s desire to select natural materials and allow them to gracefully age over a time, creating a beautiful aesthetic. 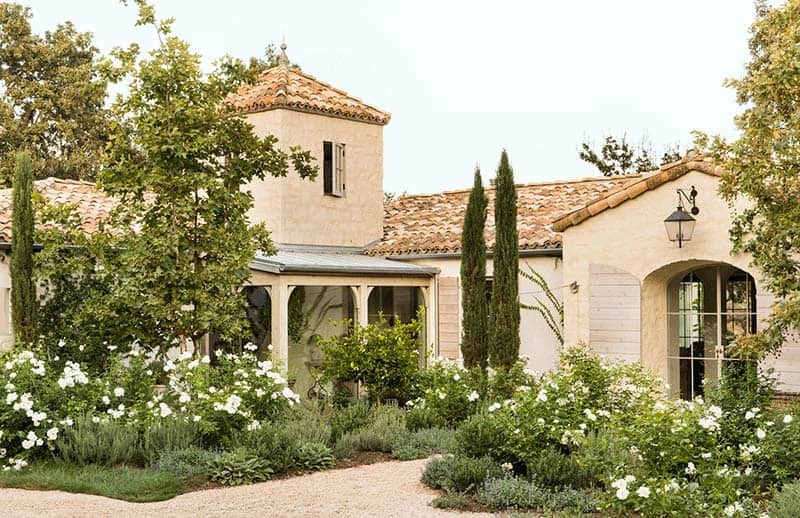 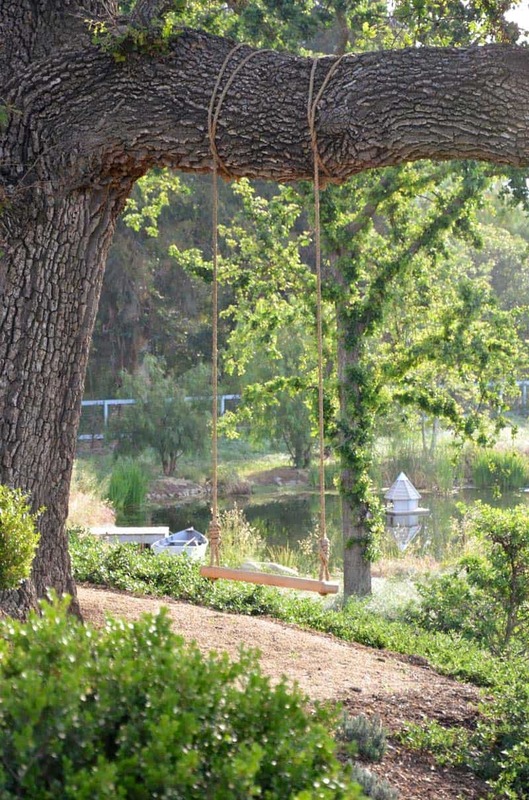 The property itself consists of four-and-a-half acres of meadows and pastures and the house itself is surrounded by cypress and oak trees, roses and lavender, boxwood gardens and meandering native planting intermingled through stone terraces that appear as if they have been there for centuries instead of recently planted in 2012.